The creation of the Brewery Artist Lofts Complex began in 1982 at the site of the former Pabst Blue Ribbon Brewery. With the passing of the Artist-In-Residence code, artists could rent live/work space in industrially zoned buildings. We rented only to artists and that is our policy to this day. We have also been family owned and operated since the beginning. The complex spans 16 acres with 310 lofts. 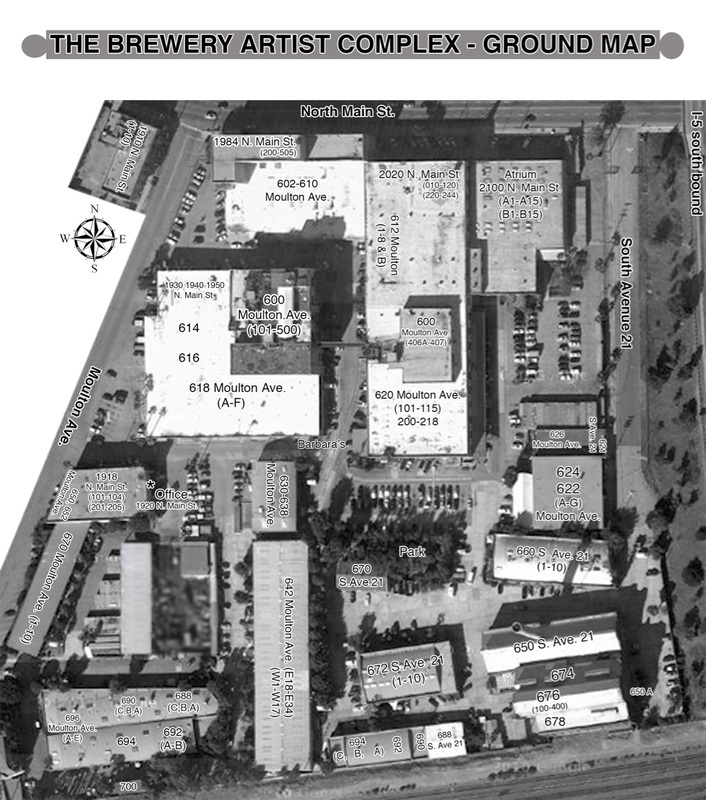 In July 1997, the LA Weekly called us "the world's largest artist-in-residence community" and, in a March 1999 Los Angeles Times article, The Brewery was quoted as the "world's largest art complex." These are true lofts, not apartments, in industrial buildings that are a part of what has become a uniquely vibrant and creative community.